EDIT: @aliothefool was selected as the winner, through a random number drawn via random.org. Congratulations! That’s right, thank you Mr. Roark. 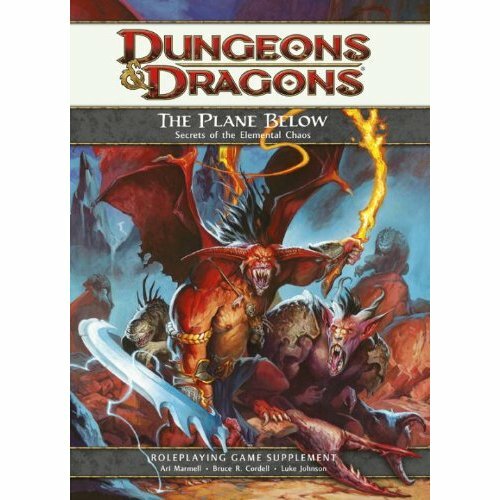 I’ve teamed up yet again with Gator Games to bring some Christmas joy by giving away a copy of the newest D&D 4e book, The Plane Below: Secrets of the Elemental Chaos. 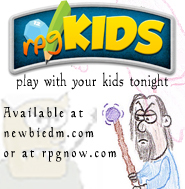 All you have to do is start following us on twitter, then send me a tweet at @newbiedm, and one to @gatorgames, telling us it’s for the contest. Then just come back here and enter your twitter name. That’s it! You’re entered! If you are already following us that’s great, just send us a tweet telling us it’s for the contest, then come back here and leave a message! The winner will then be randomly selected by me at the end of the contest. The contest ends on Sunday December 27th, at 11:59PM eastern/8:59pm pacific time. Only one entry is allowed per person, and only entries from inside the continental United States will be accepted. Good luck, and while you’re here, why don’t you take a moment to read about, and visit our sponsor, Gator Games, below… They make contests like this possible, they have an outstanding online store, and Jean the owner is one cool gal/geek. Please check them out. man you’re at twitter you are in the entire world, don’t ask for as many rt’s possible if your structure is confined to only a country, the web is worldwide. @AceDrummer_CLB is in the contest. Merry Christmas and let the dice roll. @holyground I’d love to enter the contest: this is one of the books I’ve been waiting for! @KitsapCharles has joined the latest contest. I feel… (rolls a d20) lucky! I’m in too! I’m @allgeektout. @kenmarable is joining the contested ranks. @chipch13 has tweeted and entered! @JessieCanon is in the contest! @IllusiveDreams is ALL in for the latest and greatest contest!! was looking for this damn book over the weekend and couldn’t find it at the gaming shops I usually raid! @lady_morgan has entered the contest. Thank you. @cintain has entered the contest. good luck, everyone. @Furious_Metz has entered the contest. @jwdenzel has entered the contest. Thank you. @evildad is throwing his hat into the ring. @ruined is an old Planescape junkie. He needs Planes Below. @jonathanshade rolls to see if he can beat his prize nemesis @SlatzG and win something over the internet. I’m following as @finaeros. Really interested in the material in this book. Fear is the mind killer….entering contest and feeling lucky. Oh man, I’ve heard so many good things about The Plane Below! I can’t wait to have a copy all to myself! @AlioTheFool has entered the contest! @hyejedi sent tweets today and hope to take home that very fine book. Saw it at the bookstore last night… cool coverart. @lotofsnow would love to win a copy of The Plane Below! @emileeza is now a new follower of both and entered the contest! @cjthrasher is loving your contests! Left you a tweet and a follow by the same name: Sendel. Would love that book! Count me in for the contest! The newbies here rock! @MacGuffen has entered the contest, and wants to know if the book has any new races in it! @Thadeousc would like a shot at the book please. @finerion has his fingers crossed. @amoebaalex is following. Thank you for running this exciting contest! @BeefGriller is following and has entered the contest. @JusticeRobin has done her little bit and excited to see what you and Gator Games come up with in the future! @shepster — I’m tweetin’ for the treatin’ — the Plane Below — entering myself in the contest. @Darthvayne throwing my hat into the ring. I need a win bad. Entering the Plane Below book contest. Always fun stuff. Thanks guys. Looks like fun, Off to play some Table-top PvP at a conflict roleplaying tournament. Congratulations to @aliothefool for winning the contest! There are more contests on the way, so keep following us on twitter!